You love your wide format printer. It gives you the flexibility to run all kinds of projects that other printers can’t do without them. The printers let you run banners, signs, corex signs, metal signs. It provides you the ability to offer clients the type of signage or graphics to draw attention to themselves. 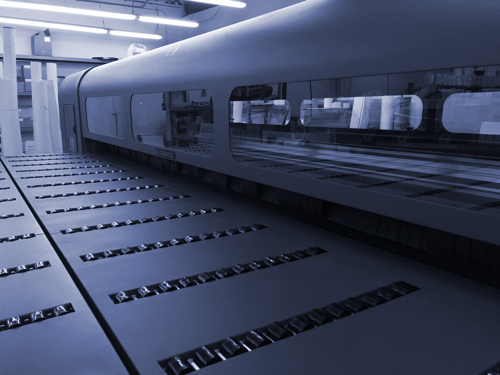 Aftermarket UV Curable Inks can help you increase profits after your warranty runs out. Let’s face it, no one likes paying the OEM prices for UV curable inks. You know that if you could get the ink price down, you can add more margin to your jobs. Bordeaux is a company based in Israel and one of the leading manufacturers of aftermarket inks. 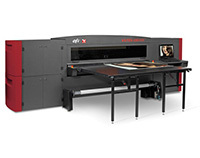 They are also one of the pioneers in on-demand printing technology that came out of Israel. Bordeaux makes OEM quality ink. They get a special mention in the FLAAR reports. The challenge with aftermarket inks is their compatibility with your printers. Bordeaux is quality. In addition, you can save a considerable amount of money monthly if you switch to aftermarket inks ranging from $50-100 a liter on your ink. Monthly, this can represent big savings which annually goes right to your bottom line. If you have a Fuji Acuity, Océ/Canon Arizona or a Vutek QS that has gone past warranty, you could save a lot of money on your ink. Bordeaux offers after market ink for these printers. They even work with you to transition to their inks. Again, depending on the volume you are doing, you could save a lot of money getting OEM quality on aftermarket prices. Next Post:Is Your UV Coating Flaking or Not Sticking?